Toilets are some of the most integral fixtures in our home plumbing systems. And like any other fixture, they get clogged. Most of the time, this isn’t a big deal, if you know what to do. 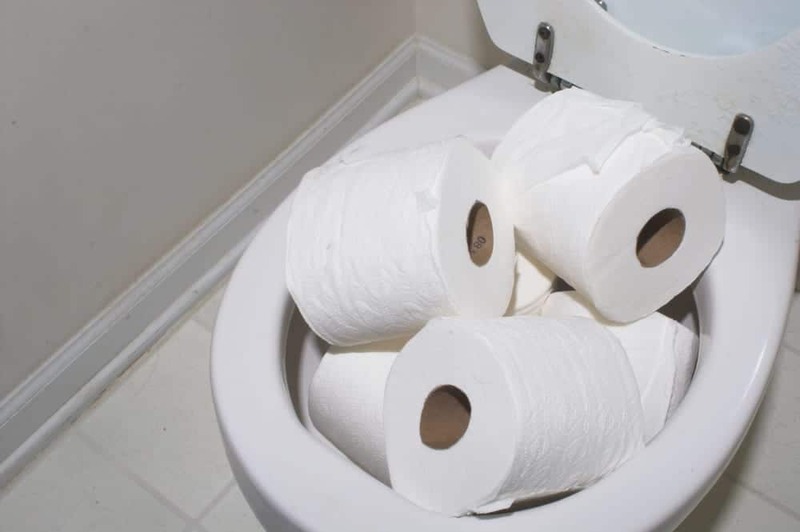 Here are some basic steps to fix an overflowing toilet. They include the traditional plunger, the snake or closet auger, and finally, getting yourself a professional plumber to take care of the problem for you. Might seem counter-intuitive, but letting the matter resolve itself might be your best bet. For example, if your toilet is backed up due to some errant toilet paper, then the it might just need more water and time to properly break up. In which case, the clog will resolve itself. Note that if your clog is very, very minor, then this might work. If it is anything more serious, or if you want to get the clog taken care of sooner, then skip the waiting game and move on to the next step. The handy plunger. Every bathroom should have one in case of emergencies. If you want to drain a clogged toilet, then this is your first stop. When you find yourself with a stopped up toilet, then grab the plunger. Plungers work by forcing air pressure quickly through the toilet drain, which can dislodge a clog and get everything running smoothly. There are several makes of plunger available, with the best ones generating the most air pressure. There is also the issue of whether the entire drain line is clogged. Clogged drain lines pop up over years of use or with improper care regarding the waste that goes in the pipe. And since the toilet is often the largest fixture entering the drain, this is usually (although not always) the trouble spot. A plumbing stoppage usually requires much more than just a snake or auger: you’re going to need professional help. The most common type of plunger is the cup plunger, and is probably what you think of when we talk about using a plunger to fix your toilet. These have a flat cup end, which ironically makes them less effective on toilets. They are much more effective for clogged sink and shower/tub drains. So, contrary to the stereotype, don’t go with the cup plunger if you can avoid it. The flange plunger has the same rubber cup, but with an additional rubber sleeve that folds down out of the cup. This makes it fit more securely in curved drain areas like toilets, and it can generate the suction and air pressure necessary to break up basic toilet clogs. The accordion plunger is a bit of give-and-take, depending on what you need. Accordion plungers are typically made of plastic, which makes it harder to seat them in a toilet drain than a flange plunger. But, since they have the accordion-like shape, the outward air pressure created can break up more persistent clogs. While any three can work, for general-purpose clogs we suggest having a flange plunger on hand. A plumbing snake is simply a coiled piece of metal that you guide into your clogged drain in order to break up a clog. There are different kinds of snakes with different thicknesses and different kinds of tips that can help with different kinds of clogs. Some snakes will break up clogs caused by waste, while others can hook debris and pull it out (in case, for example, a toy fell into the drain). You can pick up a snake at a local hardware store. You’ll find, however, that sometimes the terms “snake” and “auger” are used interchangeably. In some cases, a toilet auger is simply a thicker snake. In other cases, an auger is differentiated by the equipment it comes with (like a turning handle). 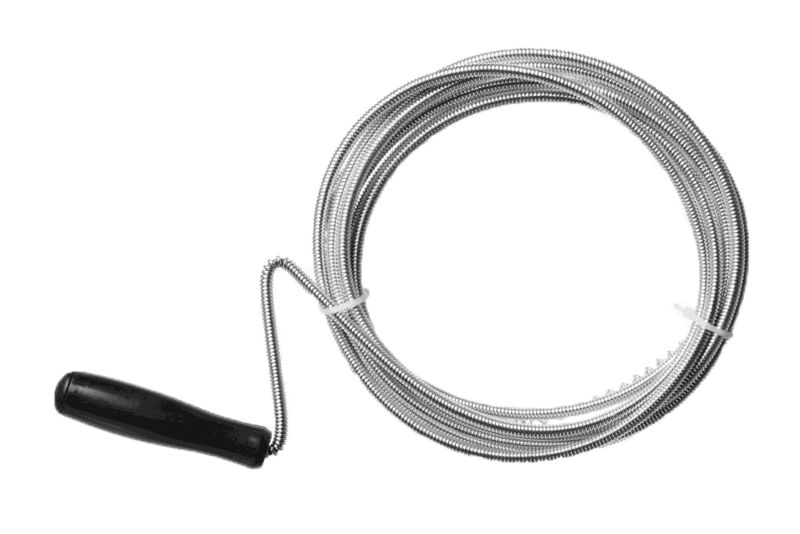 However, the more important aspect of a snake you should check before you buy (regardless if it is a snake or auger) is that it is designed for toilets (often labeled as “closet” or “water closet” snakes and augers). When snaking your toilet, firmly guide the snake into the drain until you feel it hit a blockage. You might feel it get stuck on the curves and bends in the drain itself… as a rule of thumb, if you can’t push any further even after several twists with the snake, you may have hit your clog. At this point, try to bend, twist, or turn the snake to break up the debris. Once the clog is gone, you’ll know, because the water will immediately drop drain out. If you have a hard time handling a clogged toilet on your own (or if the idea of snaking your own toilet doesn’t appeal to you for some reason) then call the professionals. In cases where the toilet is too clogged for a regular snaking, then it might be the case that a bigger snake is required to remove it. Or, it may be the case that the clog is bigger than you thought it was, or that there is damage to the toilet itself. In cases where snaking and plunging don’t have any effect whatsoever, then the problem might be in the drainage system of your home. In either case, a trained plumber would come to your house and possibly remove the toilet from the floor to check the fixture and the attached drain. Removing a toilet can be a hassle: you have to turn the water off to the fixture, disconnect it from the water supply, and disconnect it from the drain. You also have to remove all the water in the tank and bowl so it doesn’t spill out on the floor. And, when you are ready to put the toilet back on, you need to re-seat the toilet on a new wax ring to ensure it doesn’t leak. All this means is that if the clog is bad enough, call your trusted plumber. Not only can they handle problems quickly (they’s seen plenty of clogged toilets), but they have the tools to take care of larger problems without making a huge mess. Clogged toilets are one of the pains of modern life. Don’t worry about it. Keep a plunger on hand, make sure that your kids don’t throw their toys in the bowl, and you should be in good shape. However, clogs still happen. And in these days of low-water consumption tanks, they can be more common than before. So keep a good plunger stored somewhere so that it isn’t visible, and wash it with an outdoor hose after every use. If you have continued problems, or you are more self-sufficient and DIY, keep a snake on hand. But always know that if all else fails, a trained plumber can pop over to your home and fix a clog quickly. And, if it is something beyond a simple clog, they can provide the advice and diagnoses that you need keep your toilet running.